Want birth control? Go buy it. Nobody is stopping you. Look, I’m going to be diplomatic about this: every moment, modern American liberalism continues to plunge deeper and deeper into a state that can be charitably described as a dark and hellish insanity. If I was in a bad mood, I’d be blunt. But I’m tentatively and partially satisfied today, after the Supreme Court extended its unprecedented week-long streak of getting things mostly right. This morning came the news that the Robed Ones concur, at least to a degree, with Hobby Lobby. ‘Closely held’ companies can opt out of Obama’s contraception mandate, if they have strong religious objections. 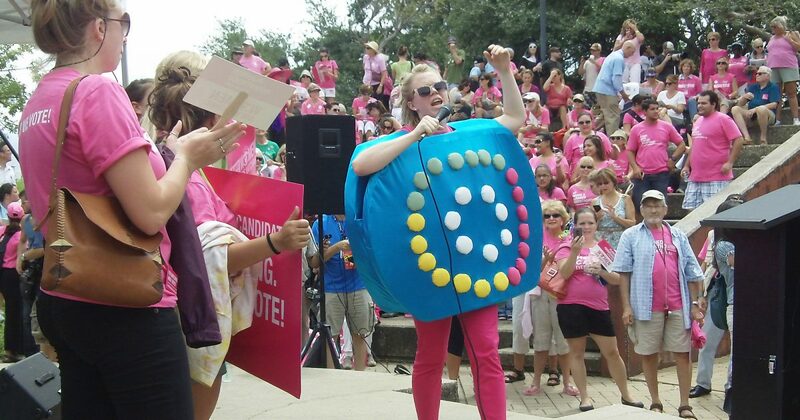 Of course, it’s worth noting that Hobby Lobby has no problem with contraception — it already provides birth control. The company only took issue with abortion-inducing drugs, like the Morning After Pill. This ruling is a limited victory for freedom and sanity, but it doesn’t go nearly far enough. 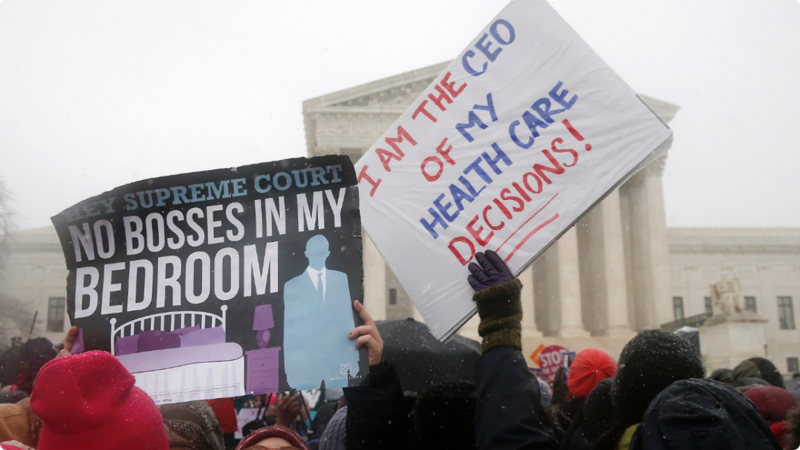 The justices could have issued a sweeping decision fortifying every person’s right to run their lives and their companies according to the dictates of their conscience, rather than the dictates of an authoritarian government bureaucracy. Instead, they focused the issue down to the specifics of Hobby Lobby’s particular situation, meaning that other companies, businesses, and corporations will still be subject to Orwellian speech infringements. It’s good news, but don’t get too comfortable. And don’t use social media or watch the news for the next few days if you wish to avoid a sudden and intense migraine. Progressives have reacted to the ruling in their typically reasonable way, calling for Hobby Lobby to be burned to the ground, marking the first time in recorded history that anyone has made terroristic threats against an arts and crafts chain. Jo-Ann Fabrics better start beefing up its security. The Huffington Post screeched in its headline that the Supreme Court has ‘gone after women,’ while legions of other liberals threw hysterical temper tantrums over Hobby Lobby’s ‘intrusion into a woman’s uterus.’ Mother Jones decided that the Supremes hadn’t only waged a war against women, but against science as well. Hobby Lobby says no to birth control pills but yes to covering employees vasectomies, if you were wondering what it's like to be a woman. “[The Hobby Lobby decision will] deny legions of women who do not hold their employers’ beliefs access to contraceptive coverage.” – Justice Ginsberg’s dissent. These claims are unabashedly dishonest because they fail to take into account two important points: A) Hobby Lobby covers birth control. I say again: Hobby Lobby covers birth control. B) Whether any employer covers birth control or not, none are trying to stop women from accessing it. The issue here is whether a private company should be forced to pay for birth control, not whether it should be allowed to sneak into your house at night and check to make sure you don’t have a bottle of Yaz in your medicine cabinet. If your boss is in your bedroom, call the police. Or stop inviting him in. When you ask him to pay for what you do in the bedroom, you are inviting him in. Want him out? Good. Then stop making your birth control into a national headline. Deal with it yourself, privately. Mr. Beckel will be pleased to learn that, should he ever find himself employed by one of the five or six Orthodox Jews in America, this ruling does not give them the authority to control the electricity in his home. It only gives them the authority to decline to pay for the electricity in his home. Indeed, it takes the special lunacy of a man like Beckel to confuse ‘I’m not going to pay for this’ with ‘you cannot have this, even if you pay for it yourself.’ But, startlingly, Beckel’s lunacy is the lunacy of many. Progressivism has recruited legions of followers by convincing them that they are being prevented from obtaining something as long as another private individual is allowed to refrain from providing it to them. If you won’t give it to me, then I cannot have it. This is what a child might accurately say to his parents. However your employer is not your parent, and you are not a child. An Orthodox Jewish businessman might also decide that he will not use electricity in his own business on a Saturday. This policy could be uncomfortable for his employees, which makes it quite fortunate that slavery was abolished a while ago. If you want to work in a place with air conditioning (and I wouldn’t blame you), you are free to work elsewhere. Likewise, if you want to work in a place that will cover the Morning After Pill, you are free to find a company that fits that bill (or pays it, in this case). The funny thing about employment is that, usually, you get the job after actively pursuing it. Most employers — particularly retail outlets — don’t make great efforts to recruit workers. You have to come to them and ask for the job. In other words, if you don’t like how they run their company, don’t go there seeking employment.